I wrote The Introvert Manifesto because I could no longer not write it. It was in my head for years, and I ran out of both the storage capacity and the patience to contain it. We are alarmingly blind as a culture—particularly here in the United States—when it comes to introverts and introversion. We too often think introverts need to be fixed or cured. We too frequently view introversion as something to face instead of something to embrace. We are blissfully unaware of the damage that ignorance about introversion causes, to introverts especially but to extroverts too. We don’t fully grasp just how many ways the problem infiltrates our lives. We need to open our eyes—because people are getting hurt. Daily. The Introvert Manifesto is my best attempt to be the eye-opener. If our extroverted world somehow gave me two hours to explain introverts and introversion once and for all—no holds barred, all stereotypes swept aside, straight from the heart—The Introvert Manifesto is what I’d say. Not just for myself but for all introverts. 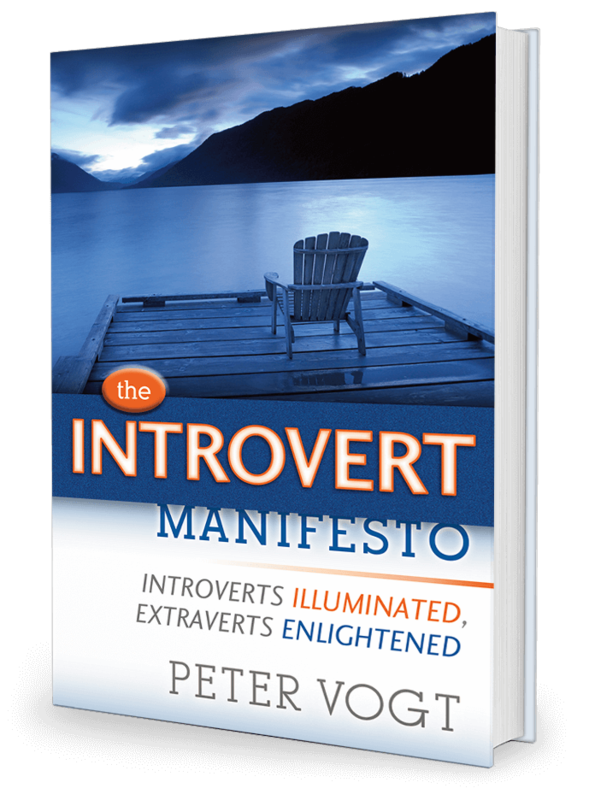 If you are an introvert, The Introvert Manifesto will help you “get” yourself at long last. And then embrace yourself instead of forever trying to be something and someone you’re not. I’m in a room filled with a large group of people who have invited me to explain introverts and introversion once and for all—accurately and decisively. I have their undivided attention for only two hours, so I must carefully balance being concise with speaking my truth straight from the heart.